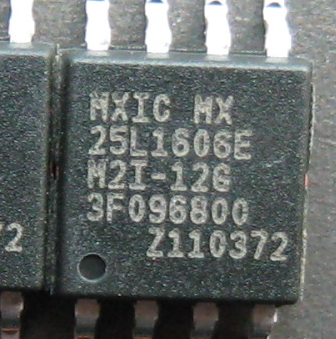 Macronix offers Serial Flash products from 512Kb to 256Mb densities in an 8-pin SOP (150mil or 200mil) or a 16-pin SOP (300 mil) package. These devices, offered in x1 organization, support read, erase and program operations. These products utilize a serial peripheral interface(SPI) protocol. Macronix Serial Flash not only facilitates system hardware layout but also reduces the complexity of system design. Our 3V products operate over a voltage range of 2.7V to 3.6V. All products from 512Kb to 256Mb are available now. The MX25xxx05 series provides Standard serial Interface x1 or x2 I/O [Single I/O or Dual I/O] at single 3V or 2.5V power-supply voltage. These products are offered in 4KB sectors and 64KB blocks, ranging from 512Kb to 128Mb density. The block lock protection series is optimized for Parameter Protect Applications with block-lock protection by volatile protection bit in selected design boot area used by BP0-BP2 bits, against Program and Erase instructions in protected area.